How is this powering a 12v led from an AA cell? Are you sure it isn’t either 14500 only or XP-L Hi? Interested. Martin, could you explain the difference between XHP35 HI and Nichia in this FL? Thanks! I don’t really understand the emitter options. 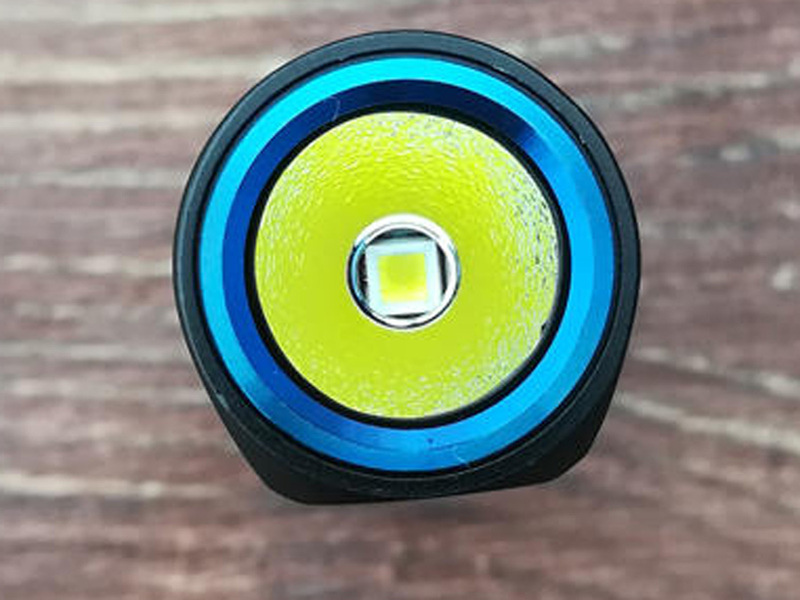 I got the impression that the main led is an XHP35 HI cool white while the side leds are nw Nichia, but then there’s both an XHP35 HI and Nichia options on banggood. So which is it and what are the emitter specs? Bangood lists Nichia and xhp35 options. I am confused. It should be xpl-HD and Nichia right? So, Banggood appears to have mistakenly indicated XHP35 instead of XPL HD. But did they post incorrect photo images as well because their photo appears to show XPL Hi emitter. (BG has more inaccuracies, the runtime table lists the flashlight was tested using a 750mAh 16340 battery” => so now it uses 16340?? => does that mean 4pcs Nichia 219C LEDs? or is “4” just a typo or something? => maybe this means a 14500 battery is included? because “built-in battery” would sound like non-user-replaceable (then AA wouldn’t be a battery option). Here is very early review. It answers most questions so far. It can be designed a few different ways. One way is it detects if the voltage is about 2.3v or higher. If so, it will charge to 4.2 with a lithium charge curve (CC/CV). If below 2.3, it charges with a NiMh charge curve to 1.5v. The other option is that it does not charge at all if the voltage is below 2.3v (roughly). This would prevent accidentally charging a AA alkaline battery. Or perhaps we have to use our own judgment to not use the usb charging when there is a AA battery inside. Another situation is that it may not even work with AA. It might be 14500 only. Not sure about this one. 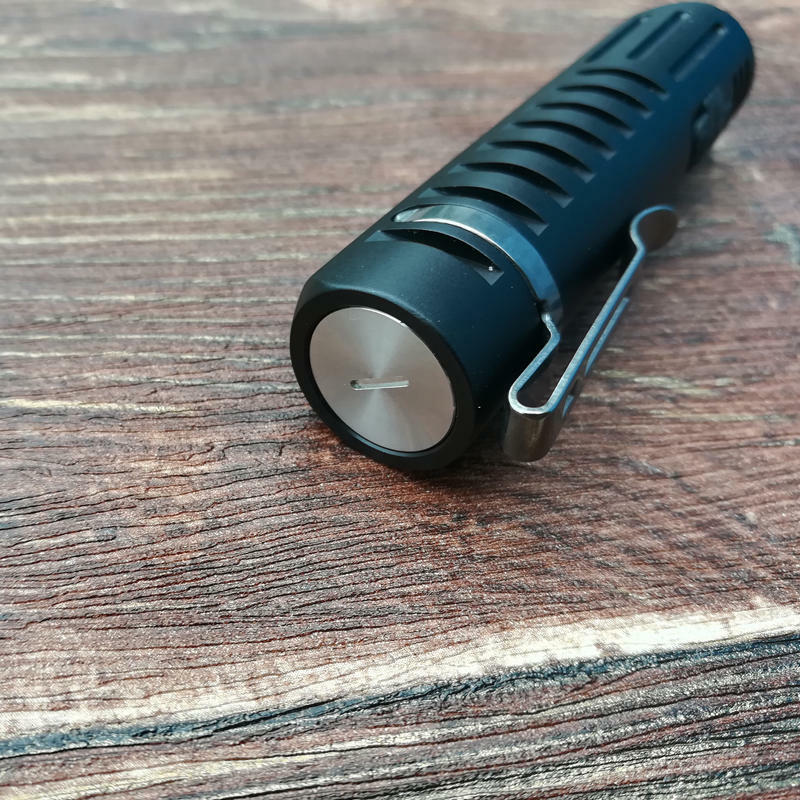 500 lumens is ok for EDC but the XP-L HD is capable of so much more. Wish it were in the 800-1000 lumen area. Not much on the built in battery. I have so many, I would like to be able to change them out. Think it would be great for a gift. Looks cool though. can one have the front and side light on simultaneously? That doesn’t make much sense. A 14500 battery can not supply the amps needed to run the xhp35 at any decent output (higher output than an xpl). Are they running it at 500 lumen (2.5A-3A at the battery) to get better efficiency compared to an xpl/xpl-hi? I guess they are using a boost driver anyway so why not ramp the voltage up. If so, the 4 Nichia might even be wired in series for 12v as well. The output must be really low when using a AA. IDK, the whole design sounds a bit strange. I’m curious to learn more about it’s driver. 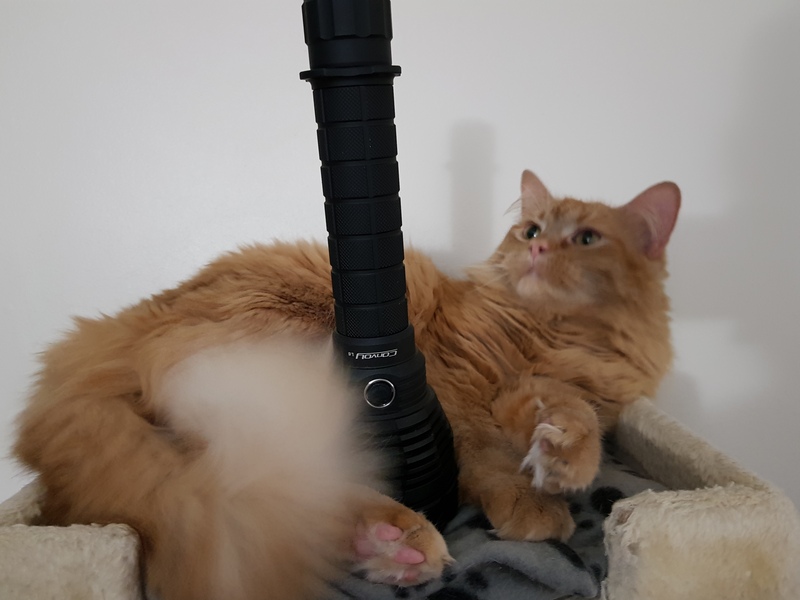 This light with a double tail click (1 for the front led, another for the side led) would be nice! Not saying it is not right now, but it would be nice in a different way (for me). Is that a tritium vial slot in the tail? That’s how you loosen the battery cover. EDIT:Is just a notch to unscrew the tail. It's a clever idea. I've decided I don't like 219Cs or 14500 lights, though. 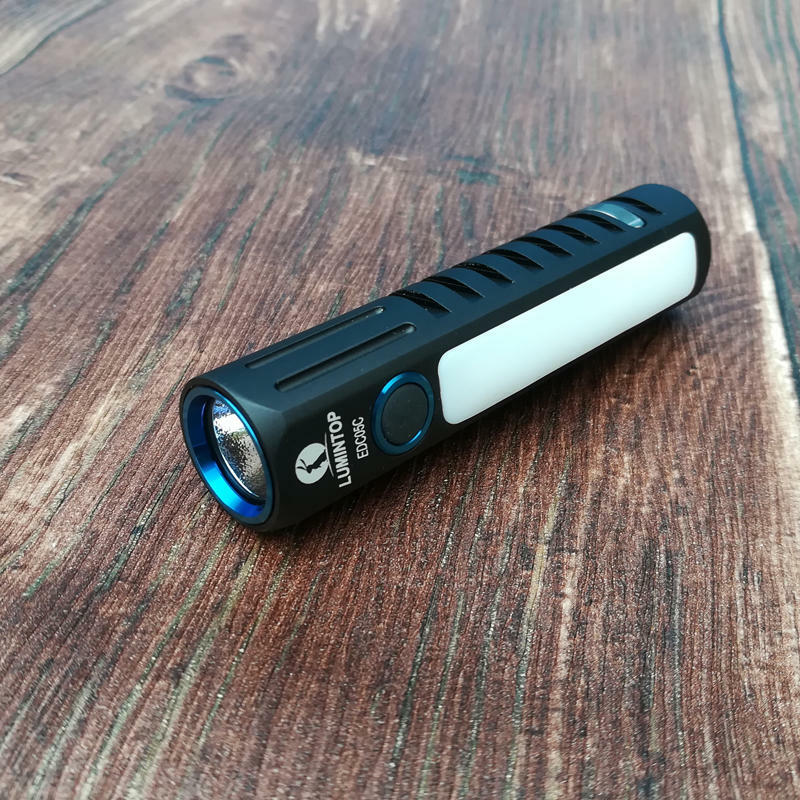 Another near-miss from Lumintop, for me. I want to like their lights so much, but I've yet to find the right one. I do question the O-light aesthetics - while it's not a bad look, it's someone else's look.